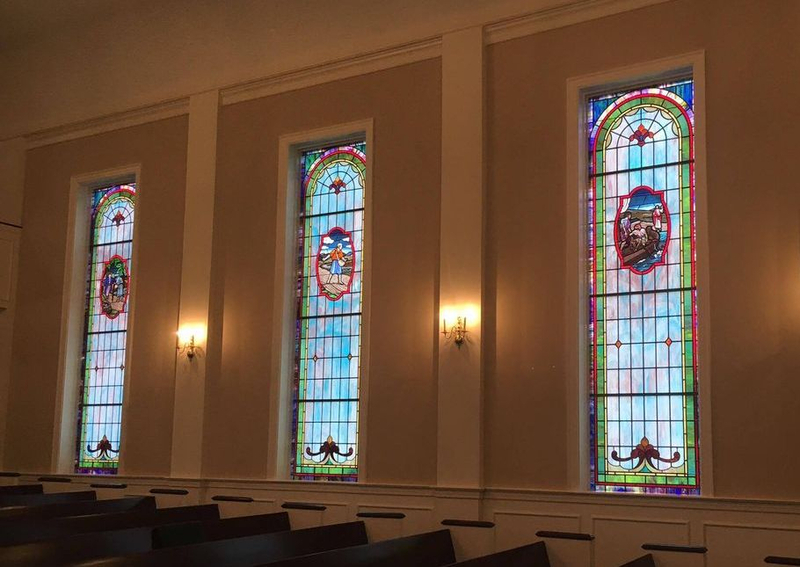 In 2016, Laws Stained Glass Studios of Statesville, NC installed (11) opalescent glass windows at Providence Baptist Church in Shawboro, NC. 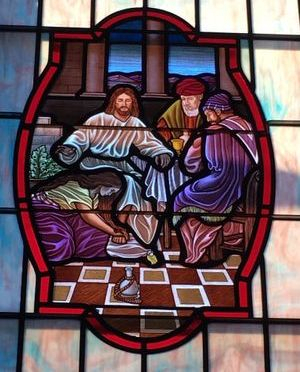 The eight sanctuary windows (size 44" wide x 155" high) each contained a 20" x 32" hand-stained glass medallion, depicting a scene from the life of Christ. 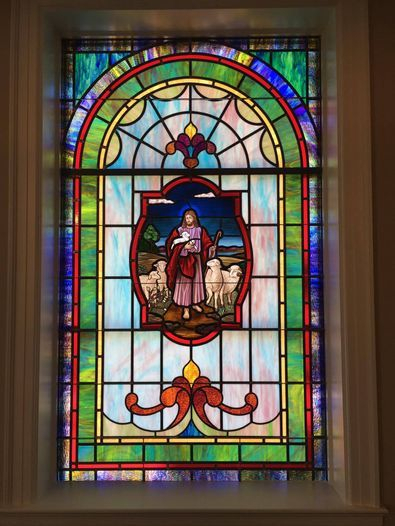 The two narthex windows (size 44" wide x 73-1/2" high) each have an 18" x 26" medallion with a Biblical scene. 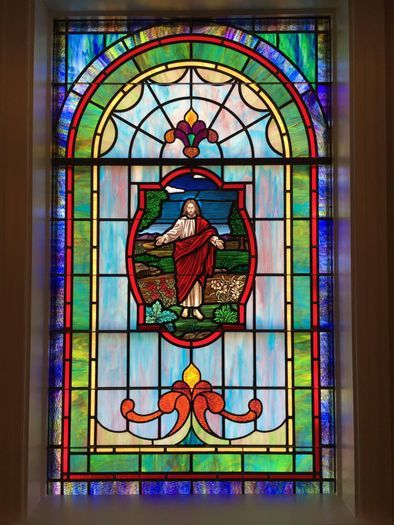 The transom (size 72" wide x 27-1/2" high) does not contain artwork, but has a design to match the other windows. Laws began the installation by removing the existing storm glass and wooden sash. 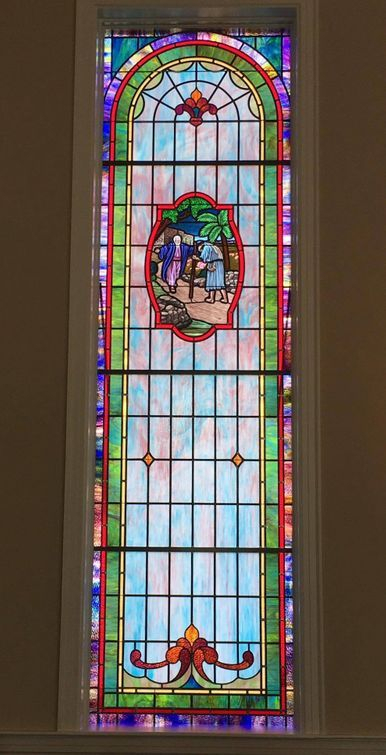 The new leaded glass window was installed into the existing wood frame. On the exterior, the exposed wood was covered with white aluminum flashing. 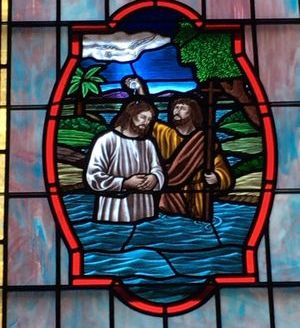 Also on the outside, Laws installed Lucite acrylic as the protective covering. The building code for the county required 1/2" Lucite instead of our normal 1/4" Lucite, and it also required extra aluminum T-bar bracing. Opalescent glass window with 20" x 32" medallion of "The Prodigal Son"
20" x 32" medallion of "Jesus Anointed"
20" x 32" medallion of "The Baptism"
Opalescent glass window with 20" x 32" medallion of "The Ressurection"
Opalescent glass window with 20" x 32" medallion of "Jesus Calling the Disciples"
Opalescent glass window with 20" x 32" medallion of "Washing the Disciples' Feet"